This ia a barrette I made for a lady! 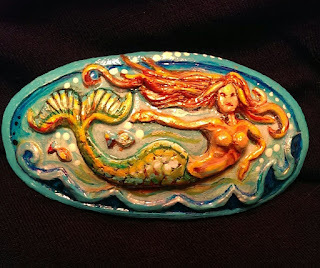 Polymer clay and acrylics. If you are interested in the purchase of a sculpture or art piece you have seen on this blog... please, e-mail me at mystapring@yahoo.com. I hope you'll stop by and visit my other blog, I have a little more than dragons over there! Please stop by my Etsy shop...mistyscreations.etsy.com, it's full of things I make I hope you enjoy browsing! This award was given to me from Cindy at the desperate bloggers blog! Thank you Cindy.I will be passing this award along very soon to another deserving blog! My dragons are sculpted from DAS air dry clay, they are painted with acrylics. I have taken many photos of my dragons to share with my friends. A great lady by the name of Ginny Schmidt happened upon them on the Red Bubble sight. She was kind enough to suggest they would present so much better if they weren't cluttered with the stuff of everyday life in thier backgrounds! WoW... was she ever right! Ginny worked her digital wizardry on many of the backgrounds behind my dragons and they are beautiful. Here are some sights you can see more of Ginny Schmidt's work! www.redbubble.com/people/cricketnoel www.zazzle.com/cricketnoel www.spoonflower.com/profiles/cricketnoel www.etsy.com/shop/cricketnoel Thank you again Ginny for your input, and foresight! I sculpt my dragons from DAS air dry clay. I enjoy sculpting them most when I am free to do what my heart desires. 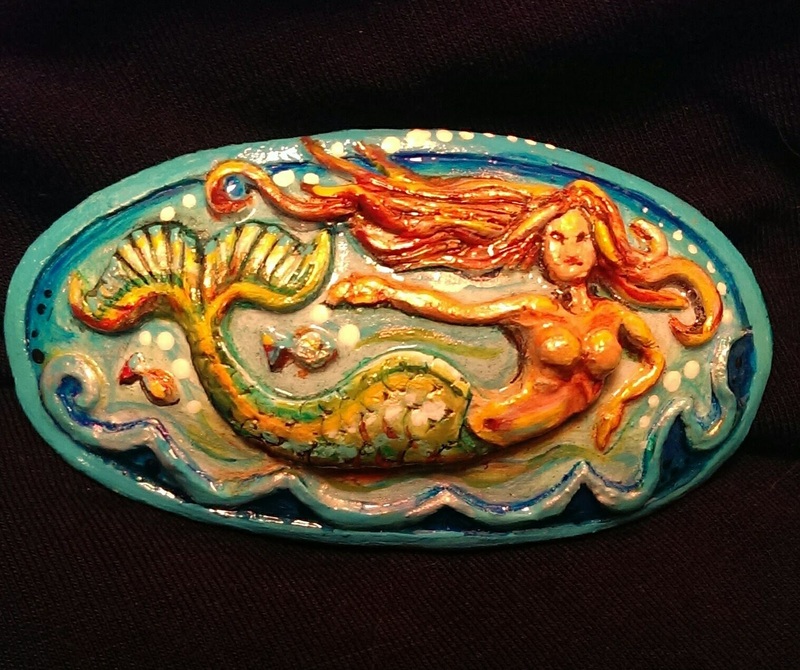 I also paint and I make jewelry from polymer clay. I would love to learn to weld and make something out of metal. My studio is behind my Barber Shop. I have been a Barber for 34 years. I've always worked the shop and when the sun went down for 20 years I played music with my husband, step son and Rollah in a four piece Band known as "The Jacks". I played Bass Guitar. But I have since retired from music and am pursuing "my" art work once again. I hope it brings some emotion to you and as with all starving artists, some of it is for sale. Don't be afraid to ask! Best Product sara happ The Gift Set, Midnight Blueberry, 1.5 oz.